#AnHonestReview? I’m not a big fan of the fried chicken from KFC. It’s tasty, yes. But compared to the chicken from Jollibee, (which I’ve raved about here and here), KFC’s finger lickin’ good can’t hold a candle to Jollibee’s Bida Ang Sarap. Of course, that’s my personal preference. There’s also the sad fact that I have to travel all the way to another country to get the latter (there are no outlets in Malaysia *sadface*). 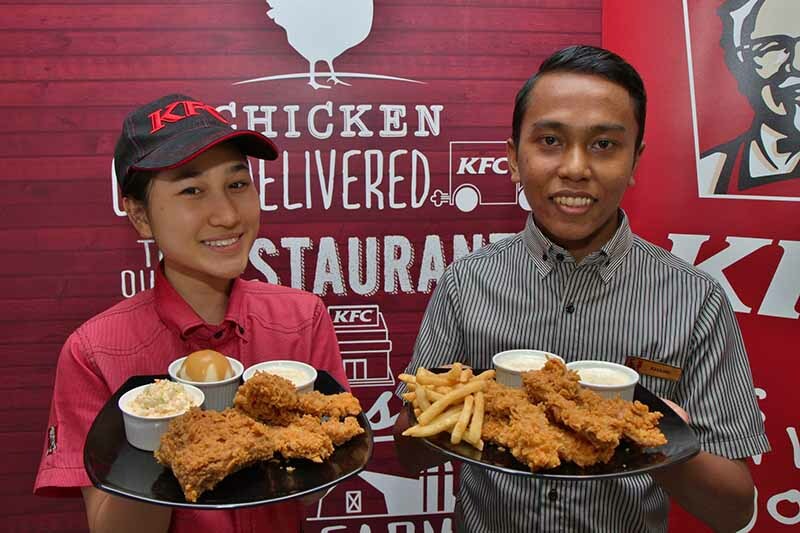 For most Malaysians, though, KFC is a huge thing. As a kid, having KFC was like a once in a blue moon treat. These days, the prices are so affordable (especially for the set menus) that families can have them almost every other week. With the holidays underway, what better way to celebrate than with a big ol’ Holiday Bucket? 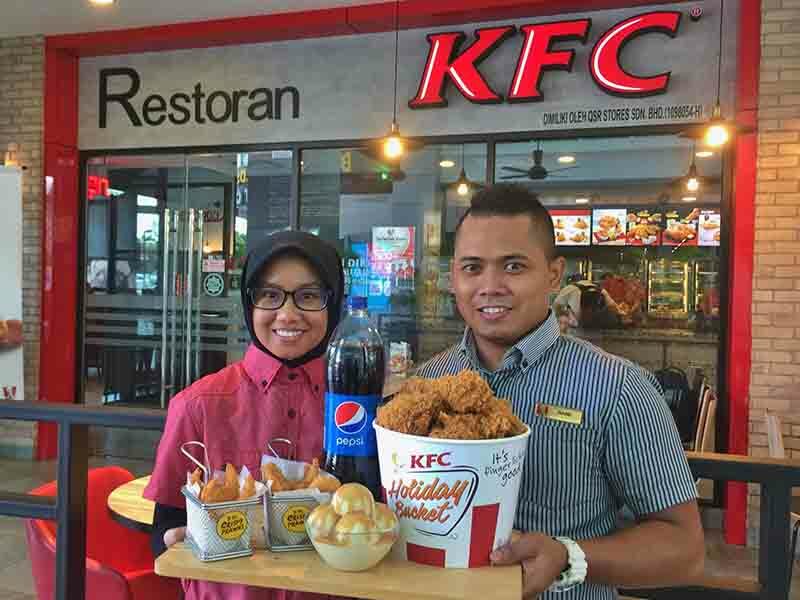 What’s in it : 15 pcs chicken (Original/Spicy), 10 pieces KFC Crispy Prawns, one large whipped potato and a bottle of 1.5l Pepsi for RM72.90. The shrimp, which is breaded and fried, is a popular item (small in size, tbh, but tasty nevertheless). It’s only available for a limited time, so good thing they bundled it into the Holiday Bucket – everyone gets to enjoy a bit of everything. Tis’ the season for sharing, right? The Holiday Bucket set is available until January 4 only. Okay, so the chicken gets like an 80% score for me, but what I really like from KFC (apart from their now defunct Double Down) is their Crispy Chicken Tenders. First introduced earlier this year, the tenders are boneless (great for lazy eaters – like me!) and made from succulent breast meat. 3 pieces are available for just RM5.50, making them great as snacks, but they also come in a set with a side of fried chicken, coleslaw, mashed potato and a drink. Of course, not forgetting the excellently salty sour cream and onion dip. If three pieces isn’t enough, get six ! These come with a side of fries. The Crispy Chicken Tenders are also available for a limited time only, until January 4. PS2: If you are not KFC, you can still drop me a line and say hi at the same email lol. We don’t have KFC in Finland! When living in Malaysia I did eat it now and then as my mom was a fan. Personally I only liked the mashed potatoes, yum!